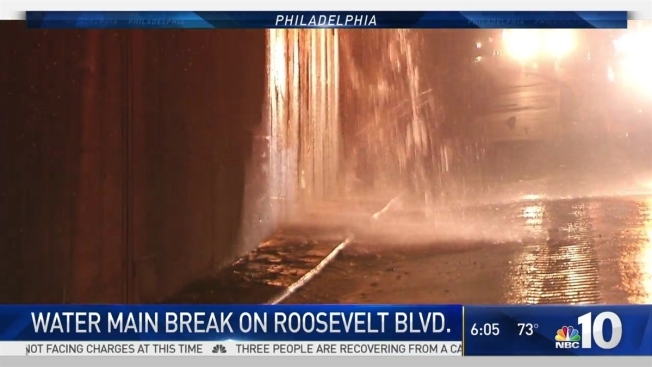 Water Main Break Slows Roosevelt Blvd. A water main break sent water gushing onto the busy Roosevelt Boulevard (Route 1) Monday morning. The break, which happened late Sunday night, closed lanes of the southbound Boulevard after Fox Street and caused traffic to back up all the way up to Wissahickon Avenue as cars snaked past the scene. As of 6:15 a.m. Monday, the traffic troubles continued with only two lanes getting by as crews worked to clear the scene near Henry Avenue in East Falls. No word yet on when traffic will flow smoothly again.